Site 6, Foster. 3 ha. 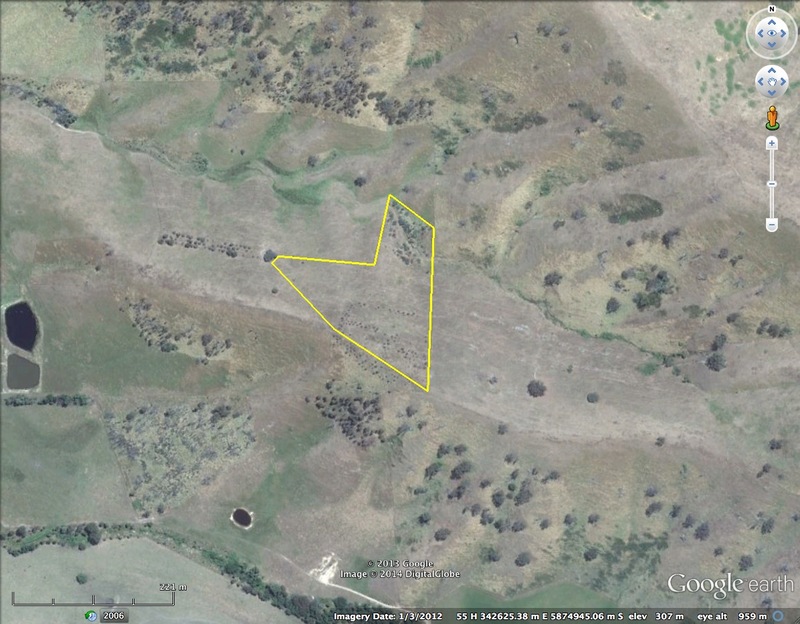 This site is an already fenced area dominated by thick swards of native grass, but little woody regeneration. The site was not part of the original project plan, but has now been included. It requires relatively little work and effort to recreate its open-forest/woodland character. Several species of eucalypt will be planted at low density. Fencing constructed: Nil; site already fenced.